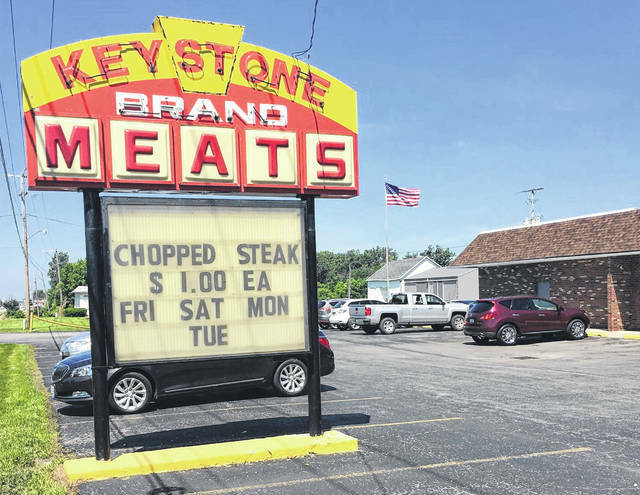 Keystone Meats, 3585 Harding Highway, Lima, is growing its business. LIMA — Keystone Meats is expanding, modernizing its cannery capabilities in response to increased demand. The growth of the business, at 3585 Harding Highway, will add jobs and efficiency. Keystone Meats processes beef, turkey, chicken and pork. Its labels are well known at area grocers, with the brand offering canned meats, broths and soups. And demand is growing on a national level. The company currently has 42 employees, 40 percent of which were recently hired on. The company intends to hire about five more employees for positions in operation and maintenance, food processing equipment, HVAC and packaging equipment. Dorley said the new machinery will not replace employees. They intend to train and hire people to operate and maintain the new equipment. Dorley emphasized the product itself is not changing, only the process that surrounds packaging that product. “We are growing in all those ways, but it’s important to say that we are a family business that is focused on being responsive to our customers and the local Allen County community,” said Dorley. The expansion, which will expand the facility by 40 percent, is expected to be complete within the next couple of months.